Their is nothing more luxurious and dramatic then a velvet fabric. I love the vibrant colors, texture, and softness the textile offers. Velvet is associated with nobility and dates back to the 700’s. A timeless fabric that’s been ruling fashion since the beginning of time and now a top trend this fall/winter 2016/17. 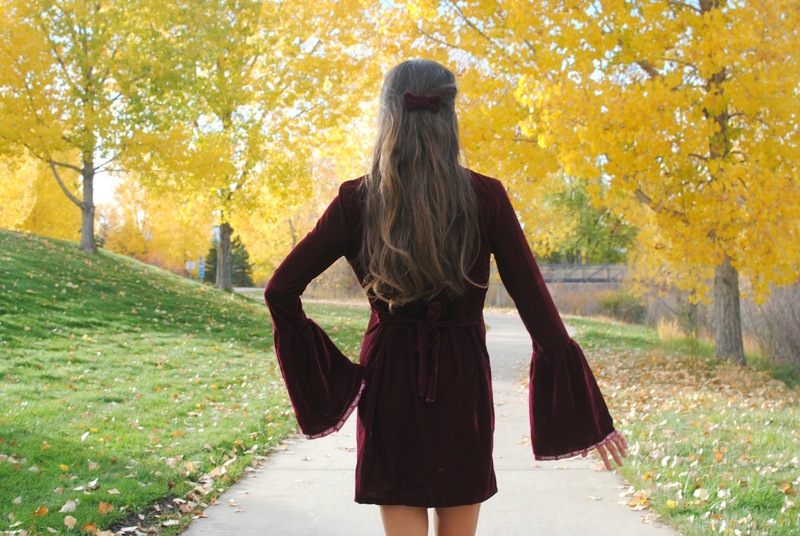 Fabric Wholesale Direct and I designed this DIY Bell Sleeve Shift Dress using 2.5 yards of their micro velvet in plum here. In this tutorial I teach you how to make a pattern from an existing dress, add bell sleeves, and sash sewn into the side seams for an easy fitted waistline. You are looking so beautiful on the dress.